Welcome to the weird and wonderful place that is Worlds End. Follow the continuing exploits of young Ralf and his allies, a Mathemagician called Gweldar the Elder, Gweldar’s familiar, Geek, and a young mysterious girl they meet early in their adventures called Zephol, as they fight to keep their world safe from the invading hordes of alien interlopers, known as the Aoevill. Will a little magik be enough? 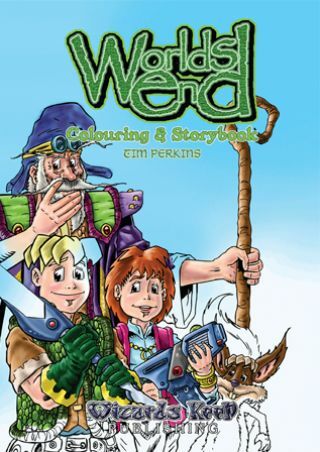 Tim Perkins continues to weave a timeless All-Ages storyline fusing Fantasy and Sci-Fi into a Science Fusion Epic in this NEW mythology for a new audience.